We are New England based right here in Ware Massachusetts. WE ARE NOT A NEWS SHOW... However we pride ourselves on being a Talk Show. And we are non-scripted, we believe in what you see is what you get. So during our Show you may have Super Dog “Kara” Barking! 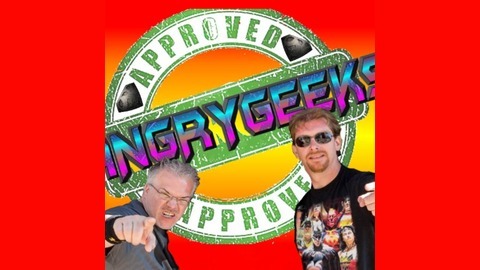 Or a member of Team angry stopping by to join in what we call “the view” but with TRUE GEEKS! During Our Show’s we showcase Talent We have Artist of the Week No not A Neal Adams or A Jim Lee We have you or someone like you. We have Cos-Player of the Week No not A Ivy Doomkitty or YAYA Han. We have you or someone like you. So when you see us during a con with our Camera we are not just about interviews with the celebrities or featured Artist... But with the people who put on the CON, The Fans at the Con the Vendors at the CON the artists that want to Discovered at the CON. The independents which whom without there would be no tomorrow in comics. And the Cos-players the ones whom spend the hard earned money they make and all the spare time they have to create or Re-Create something AWESOME. What makes us Angry...We hated posers whom believe it is chic to be geek and only just started to be a Fan because it is the “New” cool thing. We hate the “Fair Weather” Fans whom say they are the “biggest fan” but cannot tell you anything about a character other than what they see in a Movie or Video Game. We Hate Bullies in general and Especially the ONES whom tell a Cos-Player He or She should not wear a Costume because they “DO NOT LOOK THE PART. “ We Passionate About the things we grew up loving , we are Serious about the things we love and don’t make us Angry...you won’t like us when we are Angry....We Are the Angry Geeks and Team Angry! 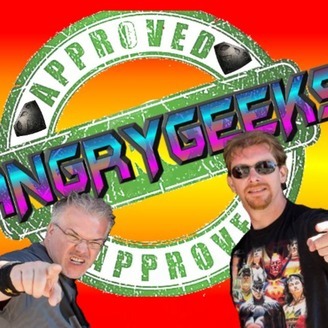 The Angrygeeks show is at Comicazi the best comic shop in Boston and we have the writer and Creator of Salvagers Bob Salley with us and we Talk the hottest stuff in comics today Also we Bring back The Angrygeeks show Cosplayer of the Week ARE YOU ANGRYGEEKS APPROVED we have prizes!